Floral picture on canvas. 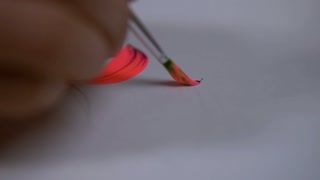 Drawing thick lines in pink color. 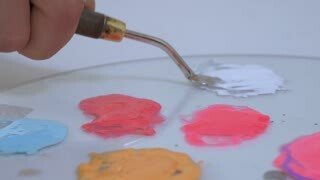 Different color stains on the palette of an artist. Pinky shades, white, yellow and turquoise colors. Body art design in action with a bokeh effect. Colorful lines smearing.